I am not usually the crafty type. I want to be, but sadly, I am not. 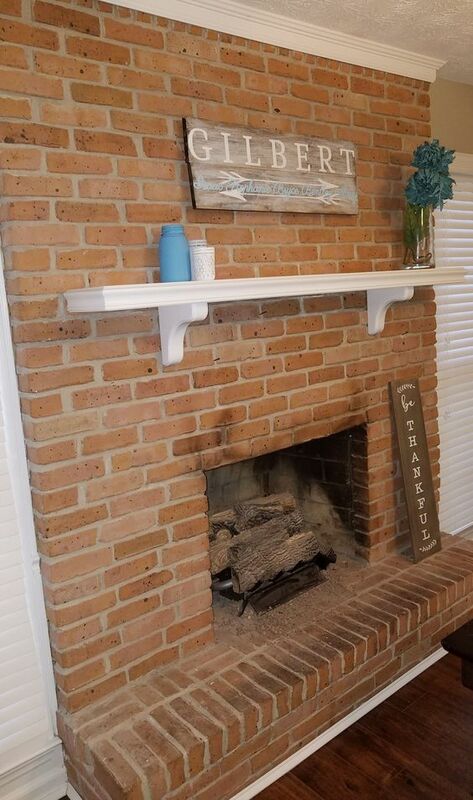 Recently, I thought I’d be real adventurous and whitewash my brick fireplace. I know, right? What was I thinking?! (See my post explaining my love-hate relationship with Pinterest crafts like this DIY project for further explanation.) Me, the non-crafty one decided to embark on a feat that was permanent… no going back on this project, ladies and gents! Oddly enough, I felt no anxiety heading into the project. This was probably because the permanence of this endeavor didn’t register until after the fact when multiple friends congratulated me on my bravery and expressed how they could NEVER attempt something like this. But let me tell you, if I can do it, ANYBODY can! I did learn the hard way what NOT to do when whitewashing a fireplace and will warn you here so that you can avoid my transgression. First things first. 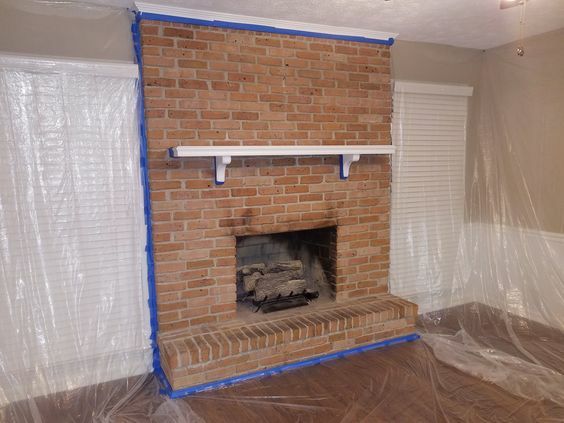 Here’s what you need when whitewashing your own fireplace. 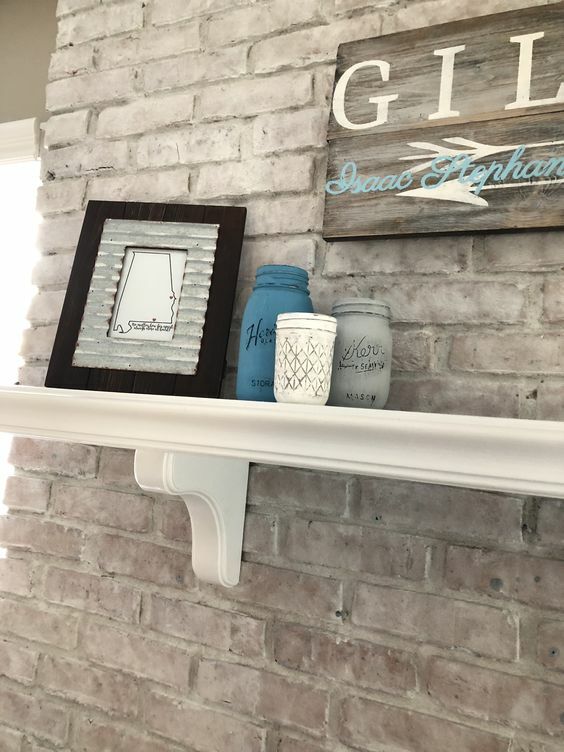 Everything I’ve read says to mix equal parts water and paint to whitewash a brick fireplace. But honestly, this did not work for me. Here is what my fireplace looked like before I began whitewashing. Here is how it looked after my first attempt. Yep. Four hours of my life utterly wasted. I can never get those minutes back, people. Shakes head. My mistake was not painting a test spot first. 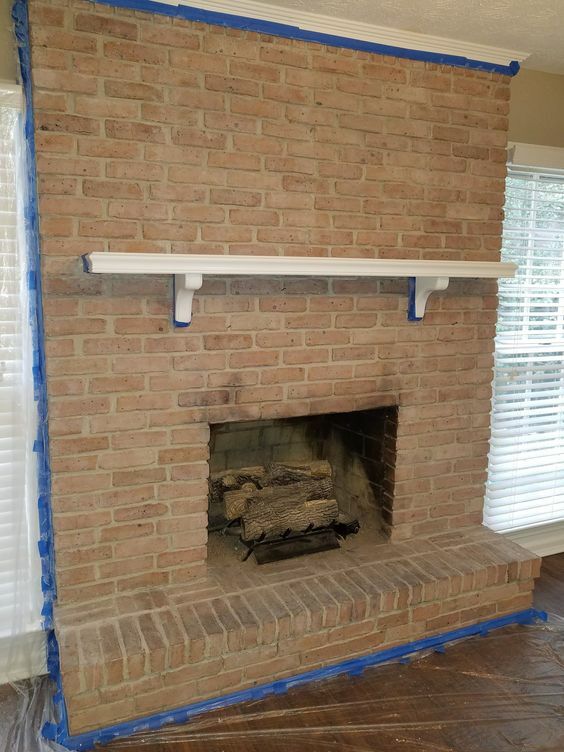 I suggest you grab your paint brush to paint a small square section of your fireplace and let it dry completely to see what the final product will look like. The brick will soak in the paint-water mixture quite a bit, so do NOT skip the part where you let it dry completely. Otherwise, you’ll be like me, thinking it’s white enough when in actuality, it’s not AT ALL. In the end, I mixed 2 parts paint and 1 part water in order to whitewash my fireplace successfully (don’t assume this will work for you… test it first!). I went behind each section I painted and dabbed the brick with an old towel. While working, keep in mind this project is horribly messy and tedious. The paint mixture drips and splatters all over the place, so make sure you use plenty of drop cloths and painter’s tape. Also, pay attention as you paint to catch all of those drips with your old rag. Paint, dab, paint, dab, paint, dab…. You get the picture. And voila! Finally, your fireplace has had a face lift! This is quite honestly my favorite room now. I may not be that crafty, but I sure felt like Joanna Gaines and I were soul sisters when I finished this project! 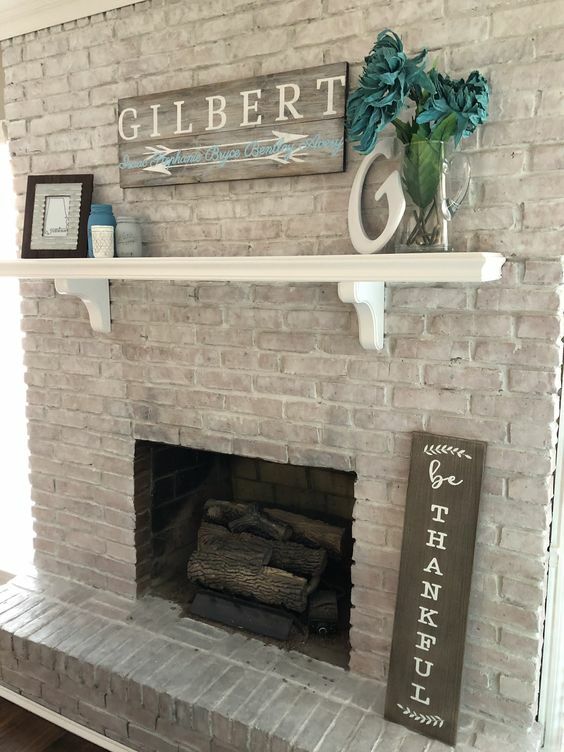 Have any extra tips to add for those attempting to whitewash their fireplace? Leave them in the comments! Thank you for the tips, I’m getting ready to do mine. I have looked at many posts about whitewashing fireplaces, and yours is my favorite! Still trying to work up the nerve to do it, though. Just have to reconcile whether I will be able to do it as beautifully as you did. Thank you. Thank you so much. I say go for it! If I can do it, anyone can!